Dark grey with slightly lighter upperparts. Body colour influenced by its habit of wallowing in dust and mud. Sparse scattering of body hair. 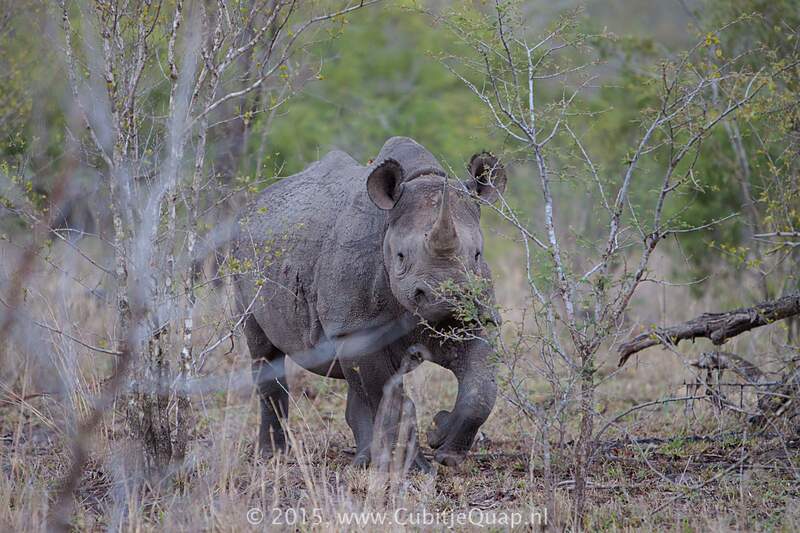 No raised hump on neck, unlike the square-lipped Rhinoceros. 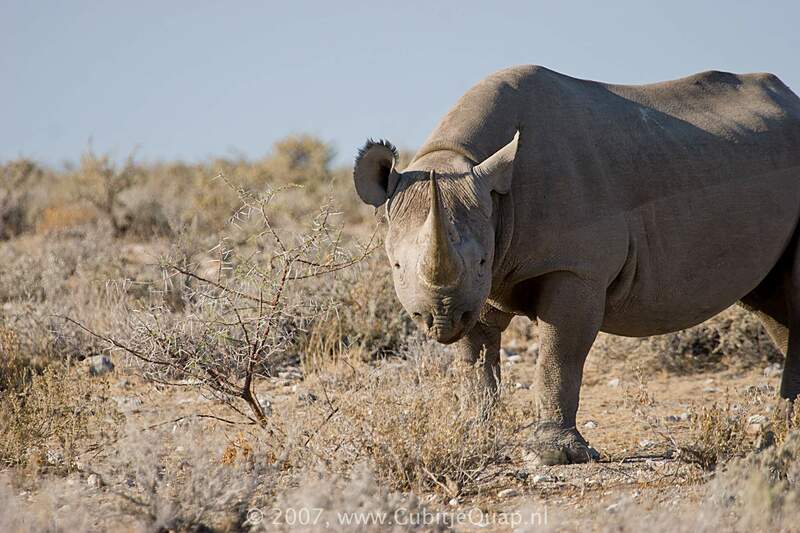 Two horns on face, one behind other, the front horn usually beining the longer. 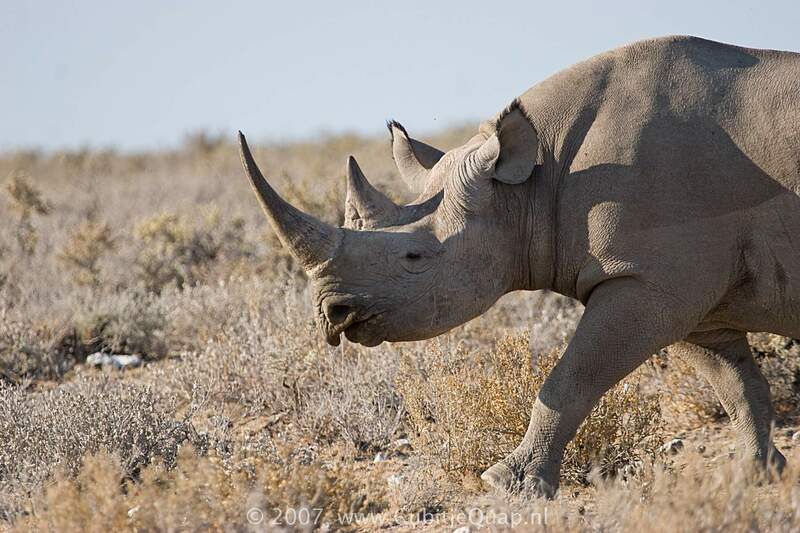 Rhino horn is composed of numerous, matted, hair-like filaments, which are attached to the skin, not the bone; it is not a sheath-like covering to a thorny bone as is the case with antilope horns. 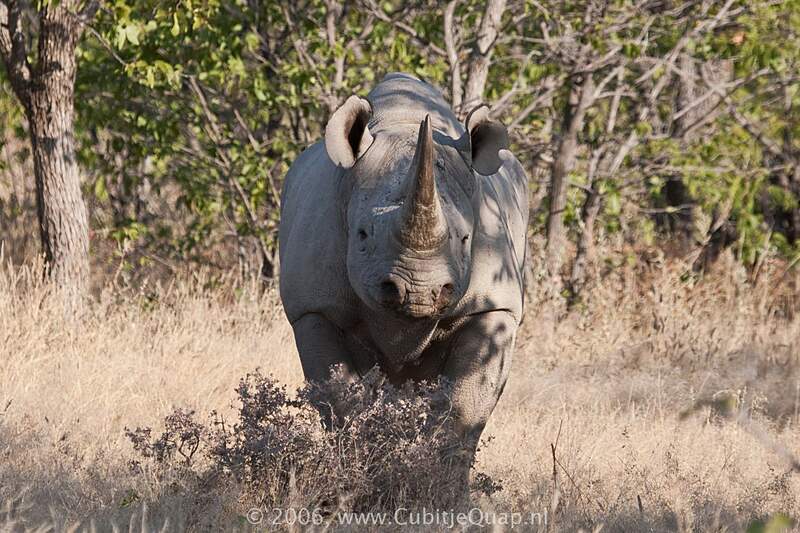 The black rhino can be distinguished from the white rhino by some features in its appearance. 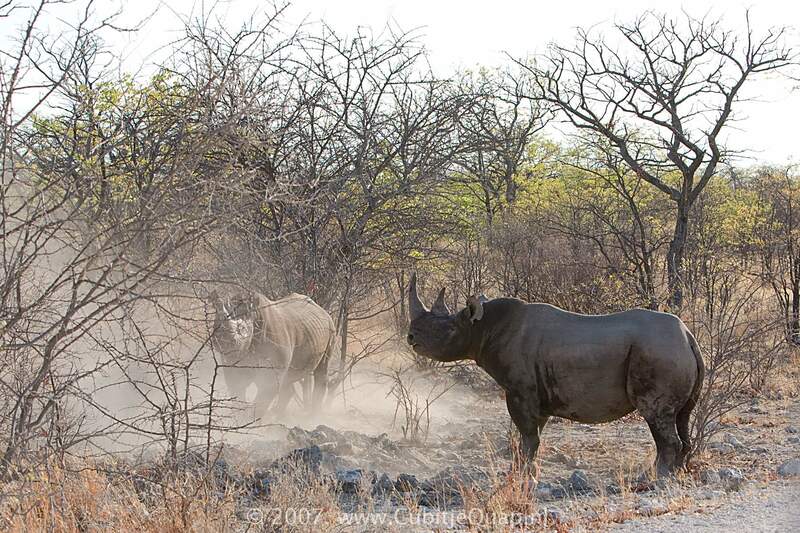 The black rhino is smaller than the white rhino It lacks the neck hump of the white rhino and it has a pointed upper lip. Areas with scrubs, dense thickets and trees at least 4 m high, water both for drinking and for wallowing. 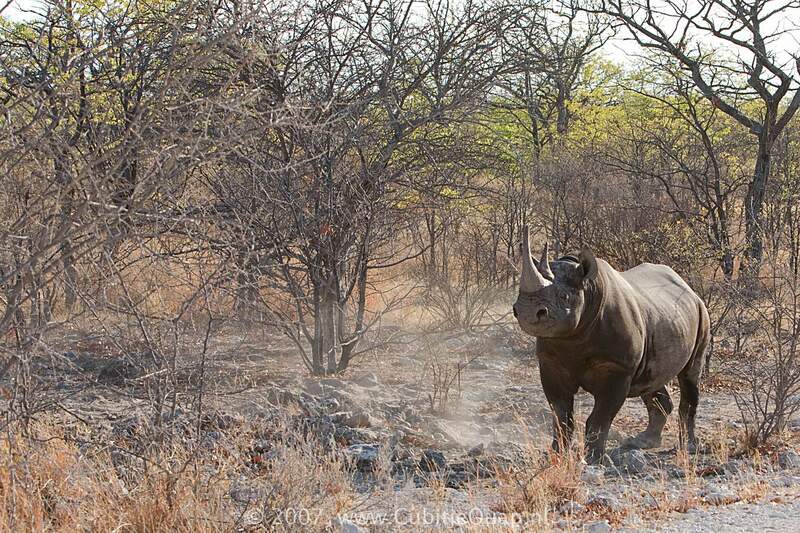 Black rhinos are soletairy animals, though cows may be accompanied by calves. Bulls and cows only come together for mating and bulls may seriously fight when competing for a receptive cow. 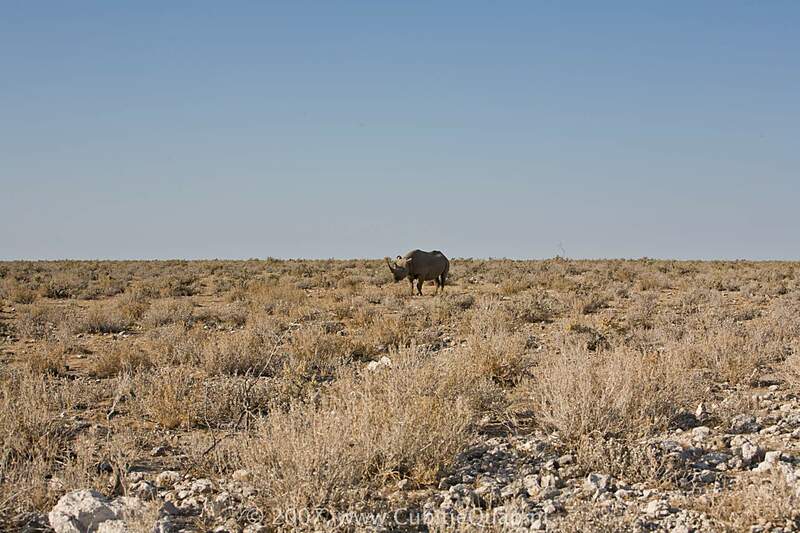 They usually rest during the heat of the day, grazing in the early morning and late afternoon, or even in the dark. Mainly twigs and shoots, avoiding dry plant material. During rains they will, on occasion, take grass. 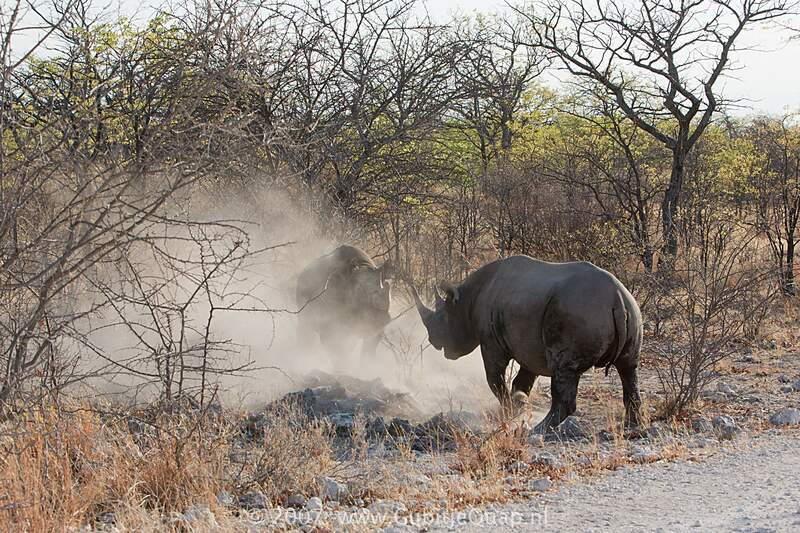 The black rhino probably derives its name as a distinction from the white rhino (itself a misnomer). 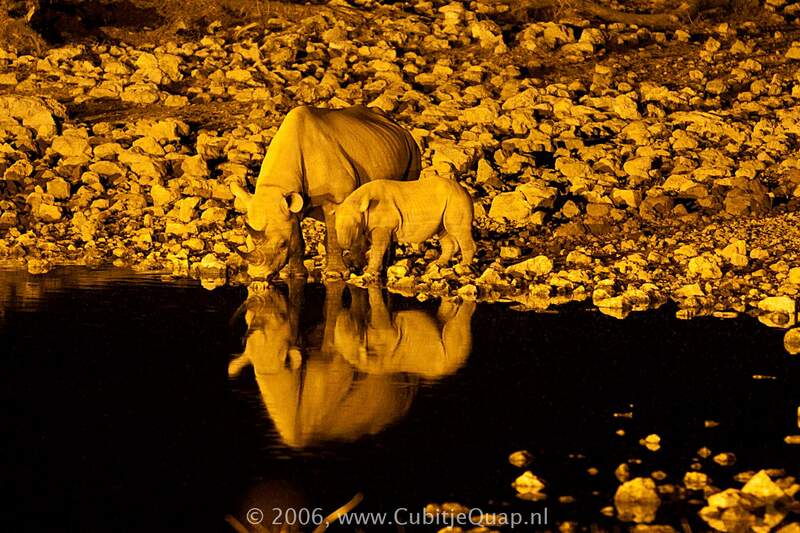 The English name of the white rhino probably finds its origin in the Afrikaans language (which developed from Dutch). 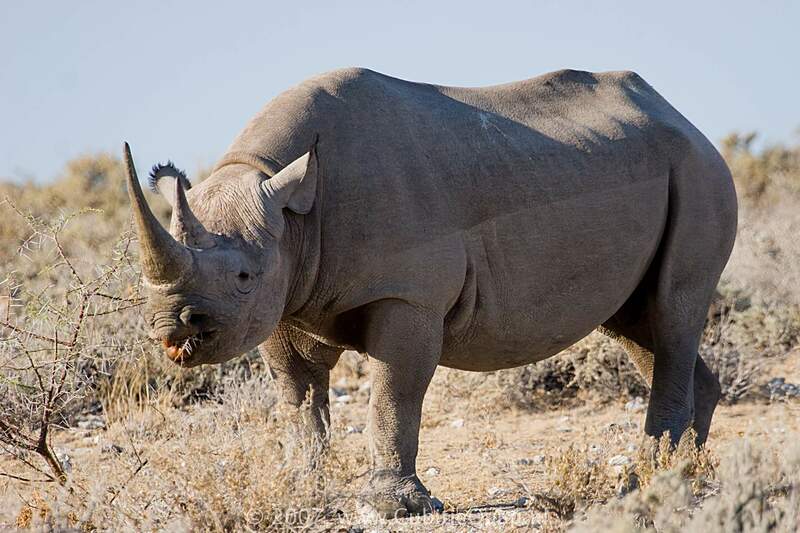 The Afrikaans word wyd (wide) refers to the width of the rhinoceros mouth. Early English settlers misinterpreted the word 'wyd' to 'white', therefore the rhino with the wide mouth ended up being called white rhino. 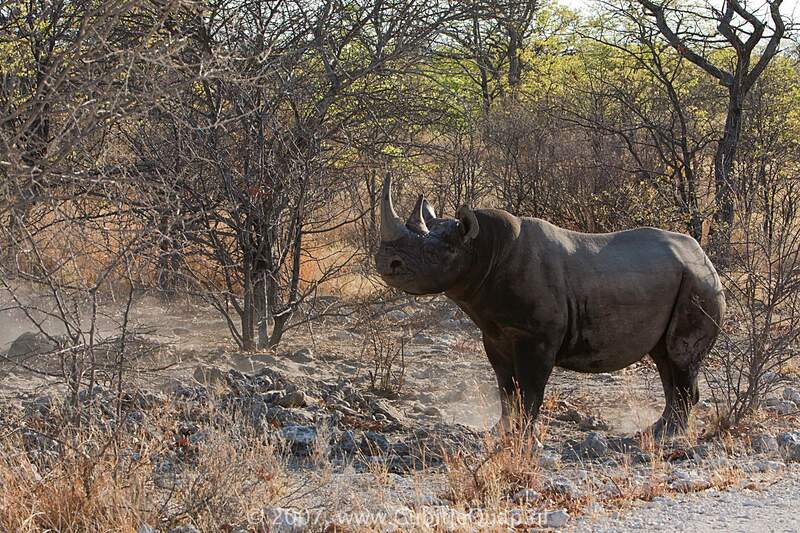 The other one, with the narrow pointed mouth, was called the black rhinoceros.